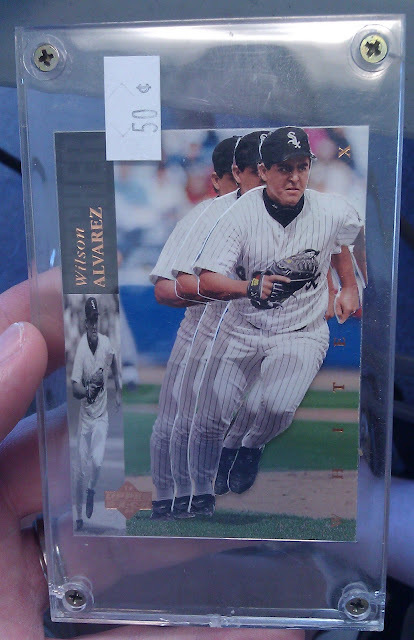 I was flipping through the card boxes at Uncommon Sportscards and some of the cards are in those unbelievably huge screw down cases that would often hold 1990's junk wax. As I flipped it over I was a little confused but the plot thickened. 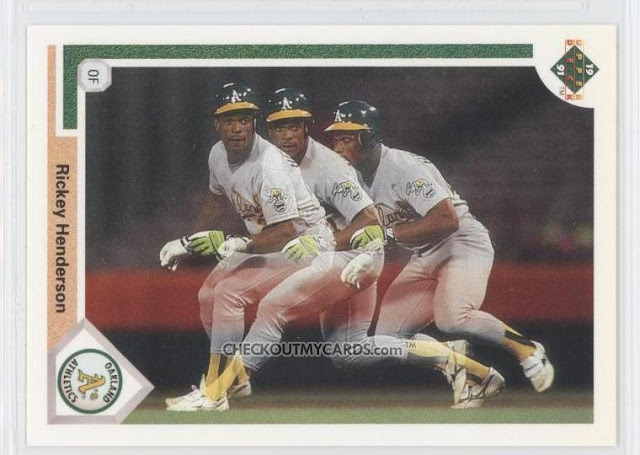 I didn't remember Wilson Alverez having one of those cards like Rickey Henderson's 1991 Upper Deck card which showed Rickey in motion on a single non-3D card. 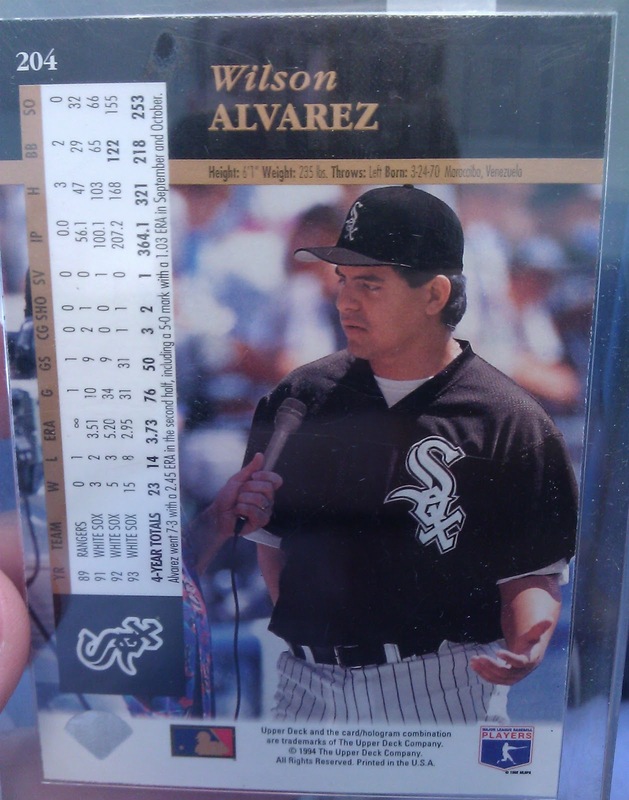 Instead upon closer inspection it turns out someone had three copies of the Alverez card and decided to make their very own shadow box cards. Each version of Wilson seems to be delicately cut out and glued on top of one another. And here's the card's reverse side which was unaltered. In the end, I delicately placed this masterpiece back into the box after photographing it and so you can sort through the many boxes at Uncommon Sportscards in the Twin Cities it can be yours! When I ran across this picture of actor Tony Danza, I suddenly remembered that his character on Who's The Boss was an ex-ballplayer. This is what I get for doing homework in front of the television as a child. Random pop culture facts speed to the front of my thoughts as if the synapses cannot be bothered with trivial things like pin numbers and passwords. Nope. Tiny little details from eighties sitcoms are much more important than those. 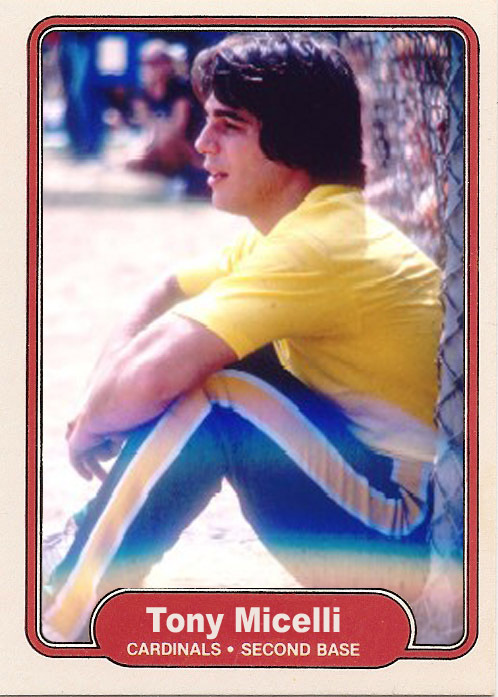 Basing this card on the timeline of the show (although the sitcom never actually specifies any date), Tony played with the St. Louis Cardinals at second base until a shoulder injury forced early retirement. The show started in the fall of 1984. September 20, 1984 to be exact. I figured two years would be a plausible enough amount of time from injury to rehab to retirement to searching for a better life for his daughter by looking in the want ads for live-in housekeeper in a more upscale environment than Brooklyn. It sounds about right to me, at least. 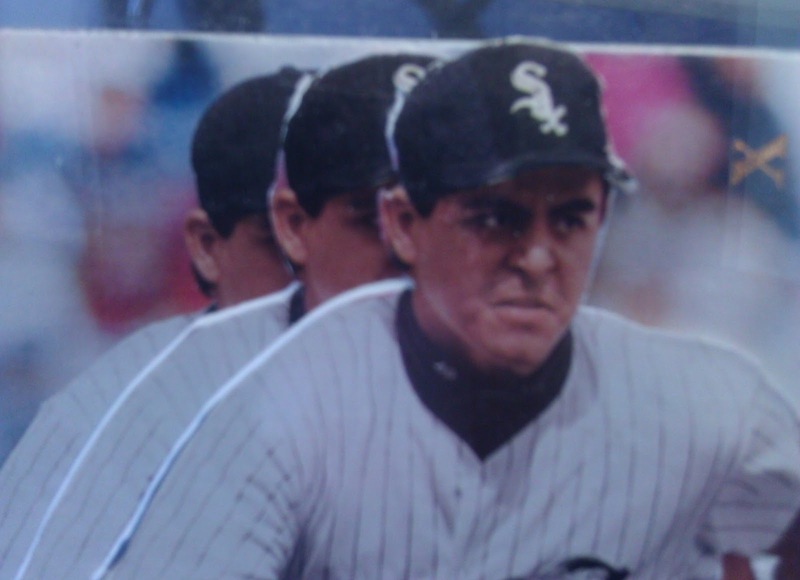 This photo screamed 1982 Fleer, so that became my focus. 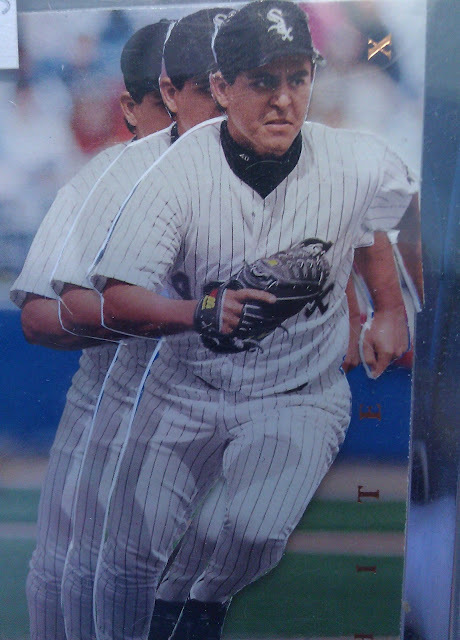 The odd angle, weird positioning and lens flare really captured the top notch photography that marred the early Fleer sets. The out of place coloring on the "uniform" seems about right for the sometimes spotty photos from these sets too.